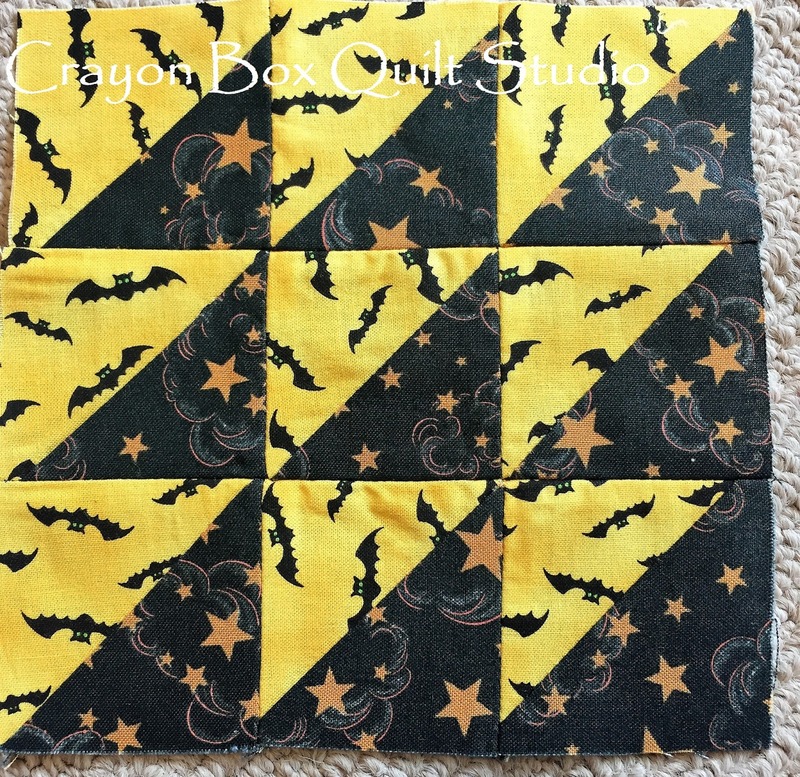 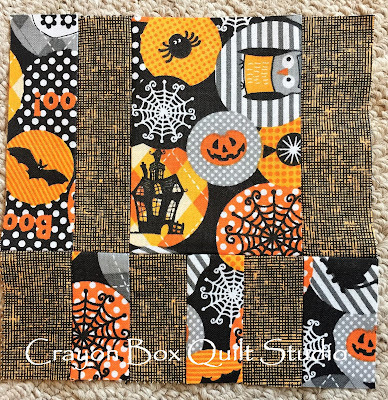 With the change in my volunteer role with our local Girl Scout area service unit I've had more time to get back to my love of sewing and have made additional progress on my Tula Pink 100 Modern Quilt Blocks City Samper - my Halloween version. 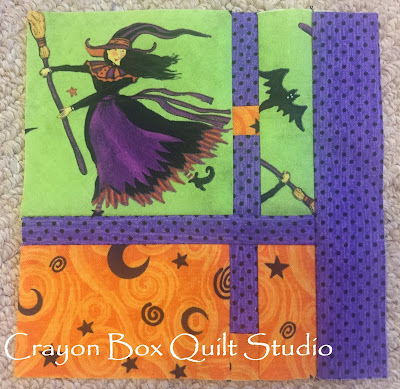 Block 34 was perfect for this fussy cut witch print. The last of the rectangle blocks chapter, block 35, was an easy one to complete. 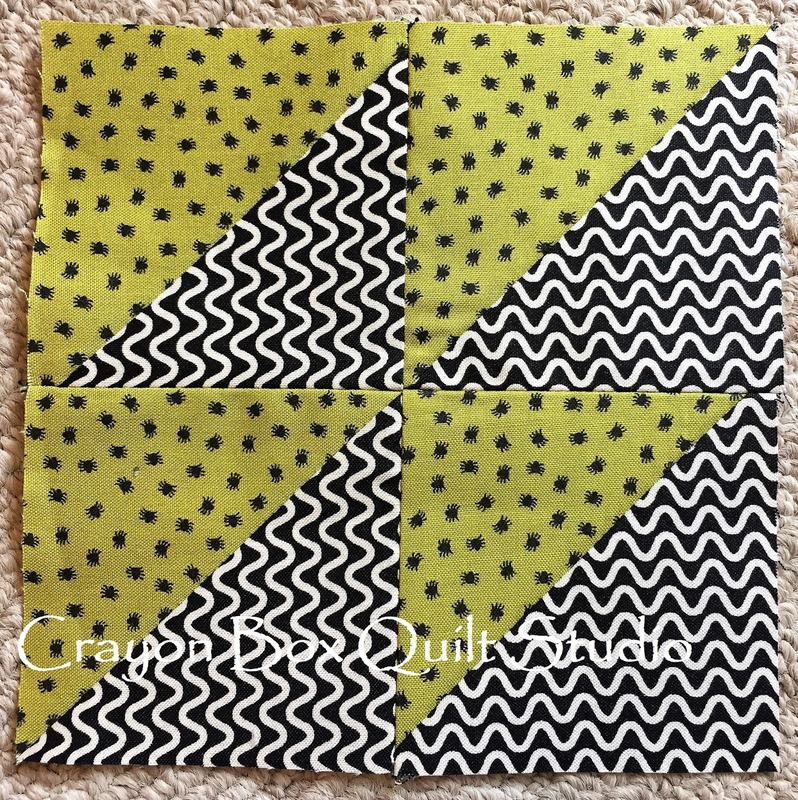 Then I was back into the chapter featuring triangles and first up was block 46. 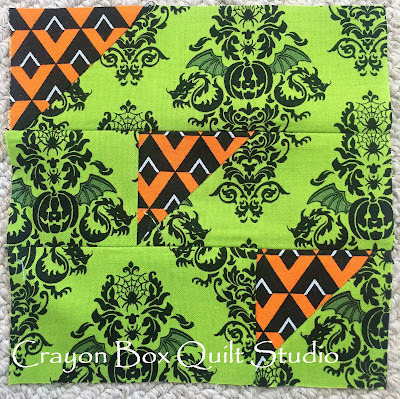 I had these leftover half square triangles already made from another long ago project and was thrilled to be able to put them to good use for block 47. 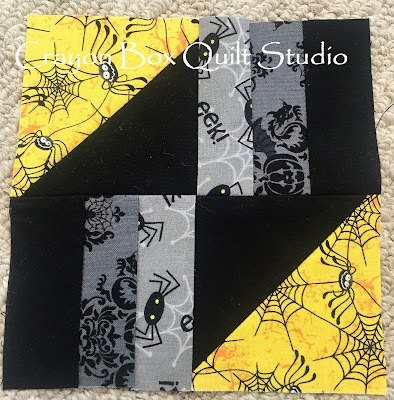 Black and Yellow was also the theme I felt like using when I made block 48. I tried hard to use a variety of colors so block 49 features this fun Green fabric. 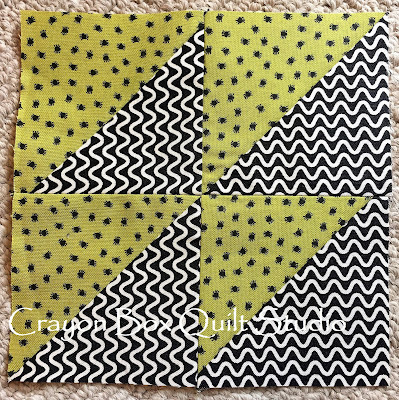 The White and Black half square triangles in this block 50 are tiny, finishing at 1 inch. 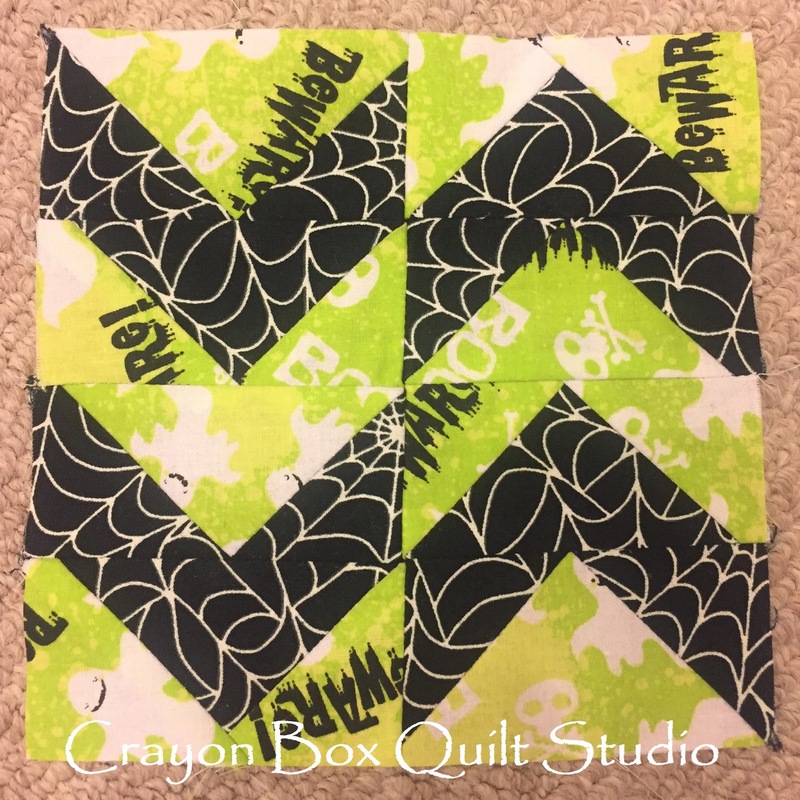 Block 51 quickly came together featuring these Green and Black prints. 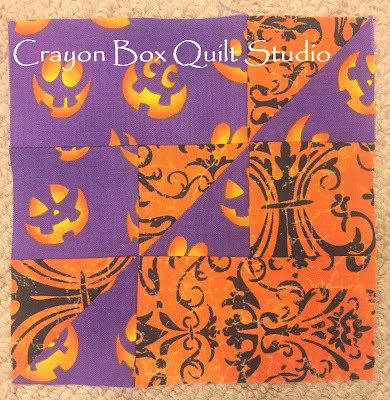 I felt like using Purple and Orange when I made block 52. 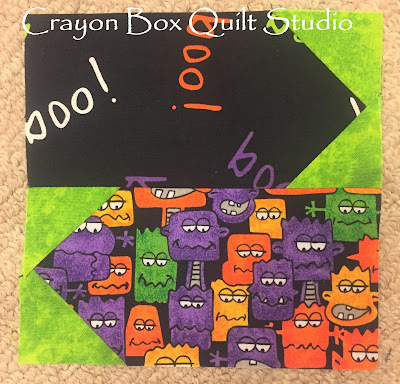 And lastly, for this batch at least, block 53 showcases a big piece of the silly monsters print. 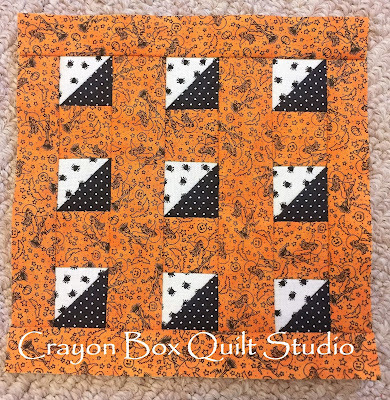 I've completed a total of 83 blocks and only have 17 more to go. 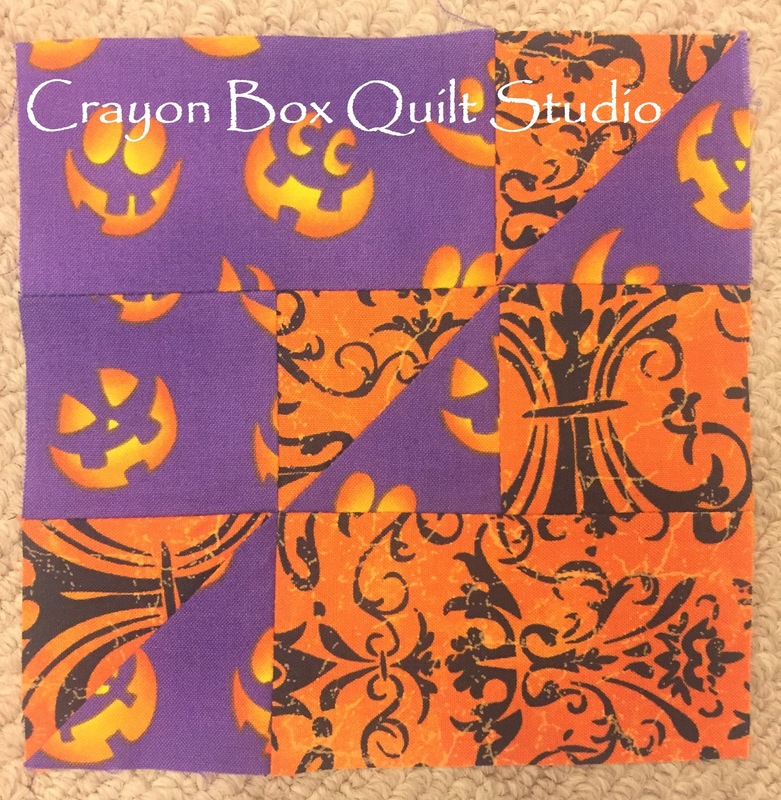 This will definitely be the last Halloween season where this quilt is a UFO. 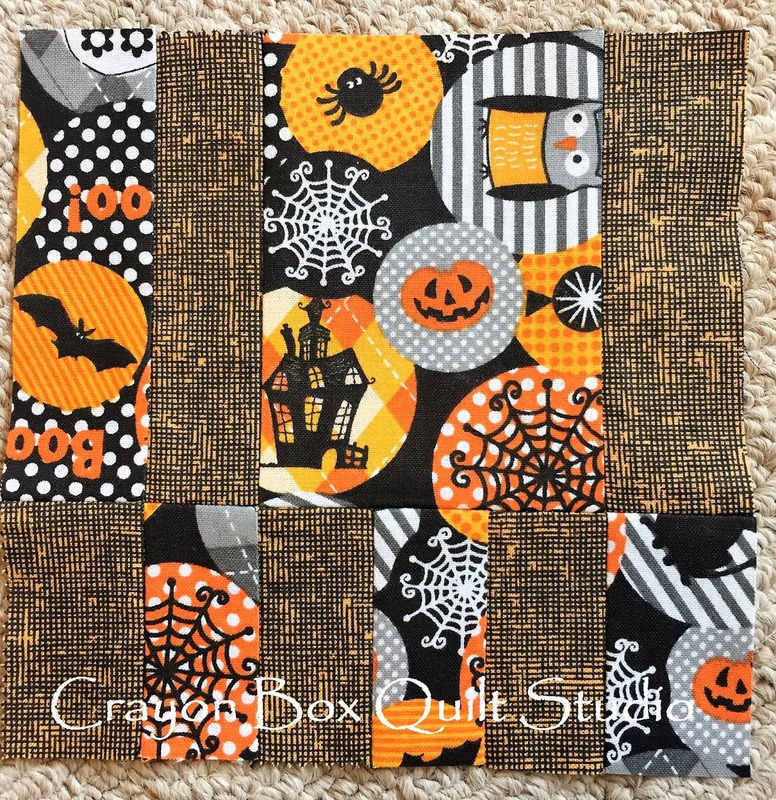 Those blocks are so much fun. 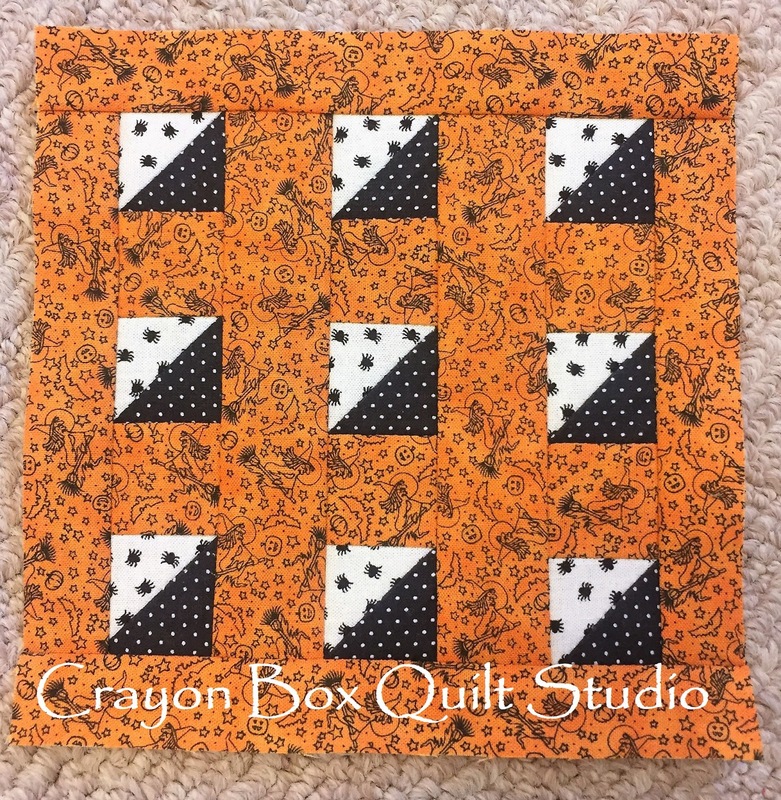 I can't wait to see them all together.